This is a nicely decorated three bedroom, three bathroom two story villa with stunning views of the community pool and ocean! The open area of the living space, dining area and kitchen are perfect for your vacationing needs. It’s an overall beautifully landscaped complex with access to charcoal grills. Other features include: tile, hardwood floors, fully equipped kitchen and dishwasher, stainless steel appliances, outside deck off of living room area, three televisions, VCR, DVD player, WiFi and convenient pool and ocean access. Linens are included. No smoking. No pets. Bedroom Two: Upstairs; Queen; Private full bath; TV. Bedroom Three: Upstairs; King; Private full bath; Oceanview; TV. Dining area seats 6 with additional seating for 2 on stools. Living room has flat screen TV with DVD/VCR. Really liked the location and the floor plan of this condo. The view is great plus you have the afternoon sun which was great during the winter when I’m there. Needs updating in living room furniture, otherwise it was very nice. This condo is adequate but needs to be thoroughly cleaned, updated and properly maintained. The floors were dirty when we arrived; exterior doors, windows and screens need repair; and interior walls need to be painted. The condo is in a good location with easy beach access. Thank you for your feedback. Mw4d had fresh paint Dec 2018 and we have compelted a deep clean of the proerpty as well for the upcoming rental season. It's a great location as far as being by a beautiful beach. The grounds are nice. The unit itself is okay. The bathrooms are small. The king bathroom's sliding shower door was off track and water didn't drain out fast enough. There wasn't even salt and pepper in the cabinets. It was basically clean, not sparkling clean but ok. There was a slightly run down feeling. The view from king matter was of the ocean the other rooms were of the grounds. I haven't stayed on the island before so I don't know if this is typical for the price. I had read other reviews so I wad prepared not to find a really great place. All that being said, it's totally adequate and if it's not overpriced then I would have to say I would recommend as long as expectations are kept in line. Thank you for taking the time to leave a review. I have passed along your concerns to the owner and the Island Realty team It's definitely not typical of our beautiful collection of homes and condos on IOP and Sullivan's Island. We look forward to have you stay with us again soon and perhaps you can call and speak with one of our Vacation Planners who will be happy to find you and your family the perfect unit. Good location and layout. Need to properly clean the tile first floor since the kids feet stayed black whenever they were barefoot. I have rented condos from Island Realty for decades and my experience has always been great. This trip was not different. Highly recommend. Mostly fine but we do a lot of cooking and would have preferred a better stocked kitchen as far as pots/pans/utensils/cutting boards/scissors. It was very close to the pool and beach, which was great. 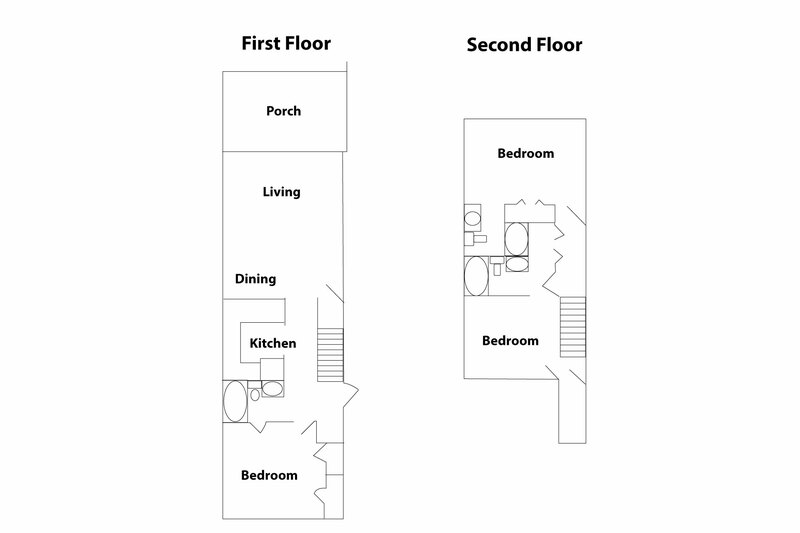 Would also do a lower level unit for ease with children. Needs rugs!! Nice condo with plenty of room for the 6 of us for our two night stay. We loved the close proximity to the beach. The property was fairly well maintained, but we did find quite a few palmetto bugs inside once the sun went down. Great location for a beach trip to Isle of Palms. Had a family group of 9. Rented 2 condo's for a last minute family get-away after Christmas. One condo was in generally better shape than the other, but they were both generally clean and comfortable. We would definitely stay there again. Very pleasant. The condo was nicely situated close to beach and was very quiet. Finding it the first time was challenging as the apartment numbers are not easy to find in the dark. We come 3 or 4 times a year to Isle of Palms . We Love Mariners Walk because the grounds and beach front are beautiful . Its a quiet and relaxing atmosphere always .A wonderful place for family gatherings . Upon occupying the property, we discover the front door latch would not engage. A simple push on the door, and you were in. This has apparently been an issue in the past as the wood on the door frame where the latch engages showed that extensive work had been performed in the past. We called the maintenance phone number shortly after arrival and a repairman was dispatched in a couple of hours. The damage was so extensive he was unable to fix the problem and said a carpenter would be required which then reported to the maintenance office. To his credit, he went to Lowe's and got us a hook latch to secure the screen door to the door frame. By mid-afternoon the next day, no one had shown up to perform the permanent fix, so we again call Island Realty's maintenance number. We finally were told someone would be there between 4 and 5 pm. He arrived around 6pm when the family was soon to leave for dinner. He did successfully install screws into the door frame to tighten it up enough for the door latch to engage and hold when locked. However, I suspect a moderate kick to the door could bust it in. Despite expressing disappointment over the lack of security for this property, something I think renters highly value, Island Realty offered only minimal concern and no compensation. For example, after describing the situation upon check-out, we were told the property manager would give us a call. Never heard from him. Thank you for taking the time to share your feedback with us. We strive for all of our guests to have the best stay possible and hate to hear that you experienced some issues. We have taken steps to properly fix the door and give our guests the security they deserve. We apologize for any inconvenience you experienced and hope we will see you again soon. The furnishing were just as pictured and the unit was very clean! The dryer did not work, a "hidden" note was found stating it did not work which was found AFTER washing laundry and attempting to get dryer to work. Housekeeping was quick to bring additional towels but no other laundry could be done during the week. The iron did not work. The DVD remote was missing! After renting a house over the summer from Island Realty that was wonderful! It was fairly represented on the website and therefore we were not disappointed. Our recent rental was below par and needs to be addressed before reasoning on rental program. I have already filled this out twice ... I think you might have a systems issue.